DayStar is an intentional cohousing community in the heart of midtown Tallahassee, just two miles from the state capitol. 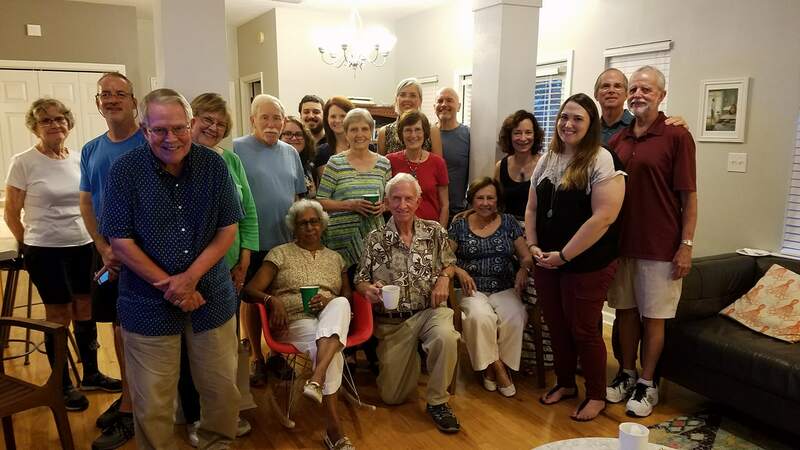 Started by four families, it has grown to 13 homes with close connections to the wider neighborhood. Eight families, known as DayStar, own their home and homesite, with adjoining land owned and maintained in common. Another five homes, DayStar Too, across the street are on adjacent lots with a shared alley driveway. We enjoy monthly potlucks and celebrate the summer solstice with an annual progressive dinner. We share a vegetable garden area, fire pit, tools, parking area, yard chores, and an open grassy commons. Front porches welcome us home each day and gently connect us with neighbors.